'Aquaman' becomes the highest grossing DC title overseas surpassing even the 2008's highest grosser 'The Dark Night'. Aquaman tumbles Christopher Nolan's The Dark Knight on course to become the highest grossing DC title ever. James Wan's Aquaman starring Jason Momoa and Nicole Kidman passed the $1 billion mark on Saturday, becoming the third DC Comics adaptation to cross that major box office milestone. In 2008, Christopher Nolan's The Dark Knight starring Christian Bale and the late actor, Heath Ledger became the year’s highest grossing movie. And four years later DC billion dollar mark came again with Nolan's The Dark Knight Rises starring again Christian Bale and Tom Hardy. After Nolan's trilogy, DC struggled to reach that ten figures in the box office. But it seems the streak is finally ended with DC’s recent adaptation Aquaman. As of now, the movie has garnered approximately over 1 billion in domestic as well as international gates. Domestically, Aquaman stands at about $286 million. The movie is expected to cross $300+ million during next weekend's MLK holiday. With that it should be able to leg out to $315-320+/- million in North America, making it the fourth-highest grossing release of the current DCEU slate of films, behind Wonder Woman ($412.5 million) featuring Gal Gadot, Batman v Superman ($330 million) with Ben Affleck and Henry Cavill, and Suicide Squad ($325 million) starring Will Smith and Margot Robbie. However, it isn’t without the fact that Aquaman actually had the second-lowest number of domestic opening screens among all DCEU films (ahead of only Justice League), and had the fourth-lowest number of total domestic screens during its run (ahead of Wonder Woman and Justice League). It is the foreign marketplace where Aquaman is ascending supreme among DC heroes, with a current $713 million gross far ahead of the nearest challenger (Batman v Superman, with $543 million). This figure is also expected to rise to $775-800+/- million by the end of its run, pushing the worldwide total beyond $1.1+ billion, topping The Dark Knight Rises to become the biggest DC superhero movie of all time. This, in turn, will lift the total DCEU global gross past $4.8+ billion from all six films. But rest assured Marvel fans! Aquaman still isn’t enough to tease a single movie from the MCU if it is about the money. True, Aquaman is doing seemingly good than most of its predecessor movies from DC’s realm. But it still is far from all that box office height that MCU has been reserving for over 10 years. Last year, Russo Brother’s, Infinity War ensembling the likes of Robert Downey Jr, Chris Evans, and Chris Hemsworth, single-handedly broke the American Box Office history by becoming the highest grossing movie in the opening weekend ever. To add, it even emerged out being the fourth highest-grossing movie ever with a whopping $2.04 billion within its theatrical run. And although Aquaman is a standalone movie, it still lags behind the success from MCU’s standalone like Black Panther (2018) starring Chadwick Boseman and Civil War (2016) both of which were over the billion-dollar mark during their big screen period. But back to DC, overall, Warner Bros. had a massive $5.6+ billion year in 2018; their best year on record-added by Aquaman upon other enormous international box office receipts. As for Aquaman’s director, James Wan represents his second-highest grossing picture, behind Furious 7 which holds the records as Wan's biggest domestic opening weekend ($147 million), biggest domestic gross ($353 million), biggest foreign gross ($1.1 billion), and biggest worldwide gross ($1.5 billion). Jason Momoa's popularity as the King of Atlantis has been a huge add for Warner Bros., in general, and for the studio's DC properties in particular. The film is Warner Bros best performer of 2018, alongside the list of other top performers including Fantastic Beasts: The Crimes of Grindelwald ($644.6 million) starring Eddy Reydman and Johny Depp, Speilberg's Ready Player One ($582.8 million), The Meg ($530 million) with Jason Statham. Likewise, the some other successful Waner Bros movies include Detective Chinatown 2 ($544 million), Rampage ($428 million) featuring Dwayne Johnson, A Star Is Born ($400 million) starring Bradley Cooper and Lady Gaga, The Nun ($365.5 million), Ocean's 8 ($297.7 million), and Crazy Rich Asians ($238.5 million). 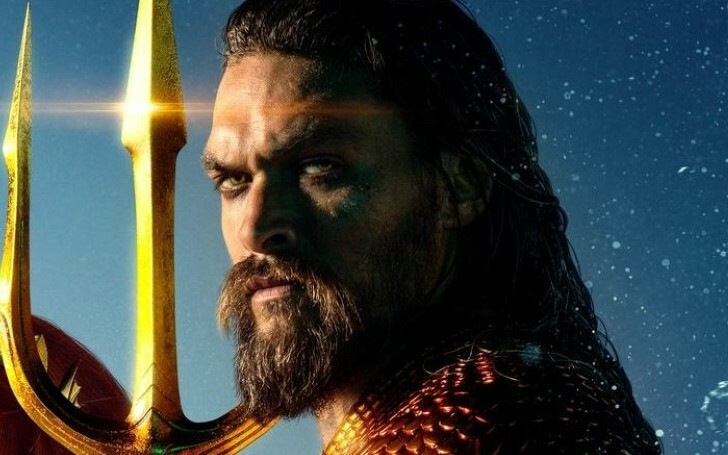 With success rising for Warner Bros with DC, all signs seem to point to an inevitable Aquaman sequel, and the film certainly leaves the door open for one. It's interesting that Warner Bros has yet to confirm plans for a sequel, but we know talks are already underway. Whether a follow-up can deliver similar soaring box office results is a question that only time will answer. Not to mention there is a whole lot of competition from the MCU as well. But there is certainly plenty of room to build upon the foundations Wan laid in Aquaman and take the series to new heights or depths, as it were.